This conventional understanding may account for a lot of what happens in evolution. At the same time, it is undoubtedly a vast over simplification of how the diversity of species on our planet has arisen. Life seems to have more strategies at it disposal than waiting for random mutations. And even when random mutations do occur as a part of the evolutionary process, other mechanisms seem to play critical roles in the development of complexity. At some point in the distant past, the ancestors of Tremblaya infected the ancestors of mealybugs. The microbes gave the insects new metabolic powers, allowing them to feed on an abundant substance — sap — that most other insects couldn’t touch. In its comfortable environment, Tremblaya cast off most of its genes. Only later did Moranella invade the mealybug, and then Tremblaya. It took over some of Tremblaya’s work, opening the way for Tremblaya to lose even more of its DNA, until it was stripped down to a mere 120 genes. Tremblaya and Moranella are the only bacteria found in a healthy mealybug. But Dr. McCutcheon and his colleagues also found vestiges of vanished microbes — in the mealybug’s own DNA. Some of its genes are more closely related to genes found in bacteria than genes found in any animal. This strange resemblance means that mealybugs were once host to other species of bacteria, and some of the genes from those mystery microbes accidentally ended up incorporated into their own DNA. What is apparent from this simple example of the mealybug is that the evolution of the diverse forms of life is not just a matter of random mutation. Life seems to have a variety of mechanisms at its disposal. Sometimes it evolves by assimilating the genetic instruction of other organisms as the mealybug apparently has done. Often it evolves in cooperative environment with other organisms as the two microbes apparently did. The trigger of the change may have been random mutation but the success of mutation was dependent upon the presence of an environment of other organisms. The evolution of the mealybug and the microbes wasn’t so much an evolution by three autonomous species but rather a co-evolution of the three organisms together perhaps with yet more predecessor organisms. The assimilation strategy used by the mealybug may have also been the strategy that evolved the first complex cells that comprise the forms of life more complex than bacteria. The most primitive cells are called prokaryotes. These organisms, such as bacteria, do not have nuclei or mitochondria, They are basically strands of DNA swimming inside a cell wall. Eukaryotes, organisms with nuclei and mitochondria, are the basis of multicellular organisms. The most accepted theory for how the evolution from prokaryotes to eukaryotes happened is called endosymbiosis. A bacterial organism assimilated another bacterial organism and the resulting symbiosis proved beneficial to both. Eukaryotes did not arise through a mutation in a prokaryotic organism but came about through a merger of organisms. Natural selection played a role after the fact in the result of the merger persisting. Another strategy life uses can be illustrated with the evolution of multicellular life. The most accepted explanation for this is the colonial theory. Single celled organisms clump together and cooperate through cell-to-cell communication. Eventually cells begin to specialize. There doesn’t necessarily seem to be a mutation required for this to occur. In the laboratory, scientists created multicellular yeast in two months simply by selecting for yeasts that had a greater propensity to clump together. Natural selection, of course, determines whether the multicellular organism is better adapted and survives but the initial multicellular organisms may not have required a mutation. In this case, perhaps genes useful for other purposes or perhaps of no particular value that allowed clumping together of organisms allowed the evolution of what may be a new organism. What is fascinating in the colonial theory is how single celled organisms once they begin to clump eventually form specialized cells and three dimensional structures. A theory by Stuart Newman on the proliferation of new structural forms among animal life in the Cambrian era suggests that the new animal forms had predecessor structures and forms at the single cell level. “Animal bodies and the embryos that generate them exhibit an assortment of stereotypic morphological motifs that first appeared more than half a billion years ago. During development, cells arrange themselves into tissues with interior cavities and multiple layers with immiscible boundaries, containing patterned arrangements of cell types. These tissues go on to elongate, fold, segment, and form appendages. Their motifs are similar to the outcomes of physical processes generic to condensed, chemically excitable, viscoelastic materials.” (1) Newman goes on to propose that “the origins of animal development lay in the mobilization of physical organizational effects that resulted when certain gene products of single-celled ancestors came to operate on the spatial scale of multicellular aggregates.” (2) In other words, the complex multicellular animals arose by extending and reusing the genes which had already operated at the single-celled level. In all of these examples the evolution of the new forms of life is not just a matter of random mutation. Life evolves by any and all means at its disposal. It can evolve by assimilating other organisms. It can evolve by cooperating with both like and unlike organisms. It can re-purpose genetic instructions and make remarkable jumps in a short period of time. As I discussed in my previous post, it might even be able to produce new and viable forms by hybridization of different species. Random mutation may still play a big role but it is not the only mechanism at work. Natural selection still determines whether the new organism, whether created by mutation or otherwise, continues. What is still lacking in this discussion is how the jump was made from inanimate to animate matter. The theory of evolution by natural selection doesn’t try to explain the origin of life, but there remains a big question about the point at which natural selection begins to play a major role in the development of new forms of life. In the Life Before Earth hypothesis, Alexei A. Sharov and, Richard Gordon assume that natural selection was at work perhaps for billions of years before the most primitive one celled organisms appear on Earth. As we saw above the simplest organism is a microbe with 120 genes but even that organism did not evolve by itself nor could it survive by itself. So it is still difficult to determine what could be the minimal organism. There is a big jump from inanimate molecules that can copy themselves to full fledged organisms. For the Sharov and Gordon hypothesis to be correct we would need to believe either that viable proto-organisms with much fewer genes than this could exist or that evolution by natural selection could take place with molecules that are not true organisms. Just as life has evolved by a variety of strategies, we will likely discover additional mechanisms beyond random mutations were at work during the development of the first life. The strategies used by evolution to create the diversity of species, however, might provide us some insight into how life initially came from inanimate matter. We can work backward and reason by analogy. We have seen that multicellular organisms arose from clumping of single organisms which begin to fold into a hollow body and develop specialized cells and tissues. A single celled organism is a body enclosed in a cell membrane. Hence, there may have been some unit less than a cell that clumped together and folded in a similar morphological manner to single cells forming multicellular organisms in order to create the initial cells. Interestingly protein folding is itself a key part of proteins forming their three dimensional shapes for them to work properly. Prions, in fact, are misfolded proteins. Nucleic acids also rely on a folding and coiling process. If we had something like a protein(s) folded around a nucleic acid, we might have something like a pre-cellular unit of life. 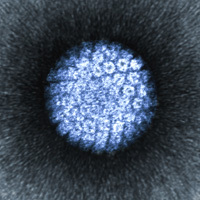 If it clumped together and formed a hollow body, eventually the nucleotide part might separate to form the initial genetic material while the protein part forms a cell membrane. We would have the first cells. Life might have arisen through some basic folding mechanism that began to work through electromagnetic properties of individual molecules . This folding may be the key to the capture of genetic information. We see this folding at almost all levels of life from proteins, nucleic acids, viruses, single cells, and multicellular organisms. We might even go to a lower level to note that carbon itself, the basis of life, seems to have folding and wrapping ability. The basis of organic life is the ring structure of carbon. Almost every component of life is built by combining ring structures with various substitutions and attachments of other atoms. 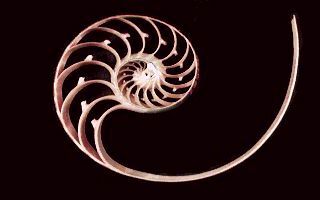 Folding and unfolding may be the key to understanding life and how the diversity of species and ourselves came to be. This entry was posted in Human Evolution, Origin of Life, Quantum Mechanics, Randomness. Bookmark the permalink. Thanks for sharing this. Glad to hear you’re aware of Bohm. His thinking was quite influential in the theoretical modeling. I hadn’t thought about Bohm for awhile but once I started seeing folding and unfolding at the various levels his idea of the Implicate Order came to mind.